Through exploration of a wide array of topics, from celebrity culture to poetry in the modern world, this book focuses on strengthening communication, evaluation, analysis, application and understanding skills. 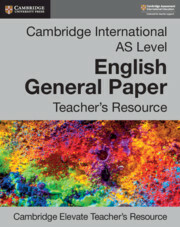 Helping students improve their written responses, use of English and comprehension, this coursebook looks at discussion points relevant to the globally-minded classroom. With frequent practice questions and sample answers, students have plenty of opportunities to build their confidence answering questions. Answers to coursebook questions are in the teacher’s resource. Supports group 4 of the Cambridge AICE Diploma. 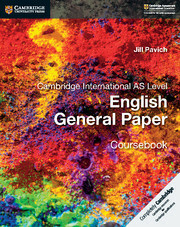 Provides a guided, scaffolded route through this wide and varied syllabus – with a clear focus on assessment objectives. Emphasises skills and development to maximise the potential learning opportunities in this and other subjects. Familiarises students with academic vocabulary and important idiomatic language to develop a fluent writing style. Encourages wider reading and development of current affairs knowledge and discussion, showing students how to apply skills to their individual situations and local knowledge. Provides practice for exams with activities and exam-style questions. Takes an active approach to instruction, encouraging discussion, interrogation and problem solving that supports deep learning.